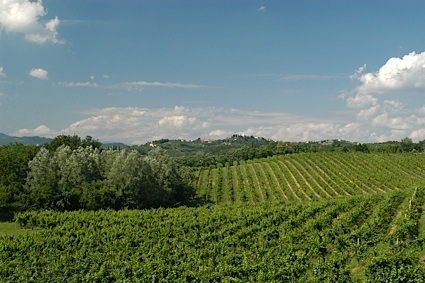 Bottom Line: A dry, full-bodied rose packed with summer fruits. 91 • Augusta Winery 2015 Estate Bottled, Norton, Augusta, Missouri 13% (USA) $.00. 93 • Augusta Winery 2015 Estate Bottled, Chambourcin, Augusta, Missouri 13% (USA) $.00. 91 • Augusta Winery 2016 Estate Bottled, Chardonel, Augusta, Missouri 11% (USA) $.00. 87 • Augusta Winery 2017 Estate Bottled, Vignoles, Augusta, Missouri 12% (USA) $9.99. 84 • Augusta Winery 2017 Estate Bottled, Vidal Blanc, Augusta, Missouri 11% (USA) $5.99. 85 • Augusta Winery 2017 Estate Bottled, Seyval Blanc, Augusta, Missouri 11% (USA) $5.99. 89 • Augusta Winery 2017 Estate Bottled, Chardonel, Augusta, Missouri 11% (USA) $7.99. 87 • Augusta Winery 2013 Estate Bottled Vintage Port, Chambourcin, Augusta, Missouri 19% (USA) $13.99. 85 • Augusta Winery 2017 Estate Bottled Dry, Muscat, Augusta, Missouri 11% (USA) $14.82. 88 • Augusta Winery 2016 Estate Bottled, Chambourcin, Augusta, Missouri 13% (USA) $7.99. 90 • Augusta Winery 2018 Vignoles, Missouri 11% (USA) $11.99. 91 • Augusta Winery 2018 Vidal Blanc, Missouri 11% (USA) $6.99. 90 • Augusta Winery 2018 Estate Bottled, Seyval Blanc, Augusta, Missouri 11% (USA) $6.99. 85 • Augusta Winery 2018 Estate Bottled, Chardonel, Augusta, Missouri 13% (USA) $7.99. 90 • Montelle 2017 Dry, Vignoles, Augusta, Missouri 12% (USA) $9.99. 87 • Montelle 2017 Estate Bottled, Seyval Blanc, Augusta, Missouri 11% (USA) $7.99. 88 • Montelle NV La Rosée, Missouri 11% (USA) $7.99. 88 • Montelle 2018 Estate Bottled, Seyval Blanc, Augusta, Missouri 11% (USA) $7.99. 87 • Montelle 2018 Dry, Vignoles, Augusta, Missouri 12% (USA) $13.99. 91 • Montelle NV La Rosée, Missouri 11% (USA) $7.99. 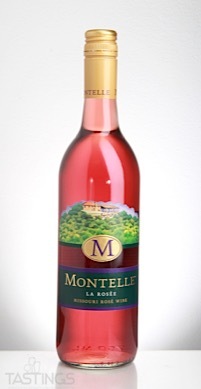 Montelle NV La Rosée, Missouri rating was calculated by tastings.com to be 88 points out of 100 on 3/30/2018. Please note that MSRP may have changed since the date of our review.